Laureate, draped, and cuirassed bust of Caracalla right; Reverse: Veiled Hera (?) seated left holding scepter. 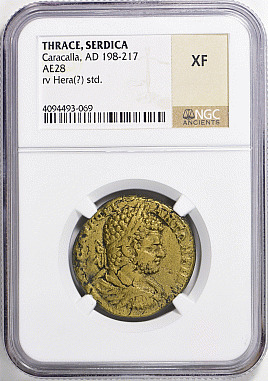 Description: Laureate, draped, and cuirassed bust of Caracalla right; Reverse: Veiled Hera (?) seated left holding scepter.